I am drawn to the beauty in found and reclaimed objects  the weathered texture of old wood or the rusted patina on metal. The materials themselves are my main source of inspiration. 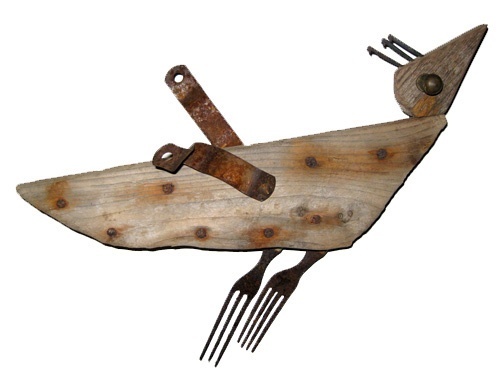 Parts of an old lobster trap or a rusted rake have had a previous purpose which I attempt to transform into something new yet familiar .... a fish ... a bird ... a turtle.